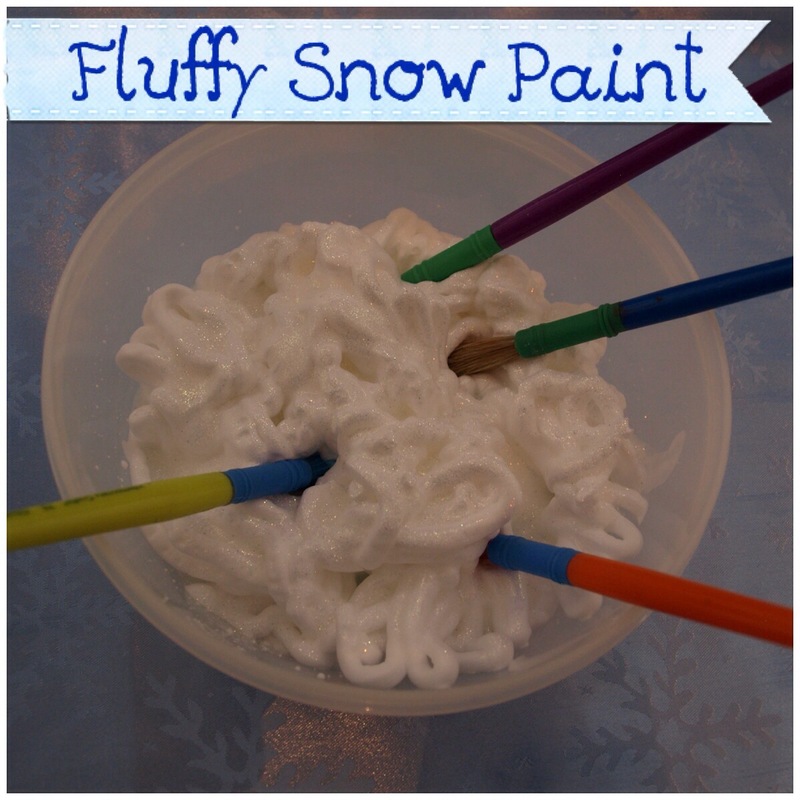 Winter Art: Snow Paint | My Crazy Blessed Life! It’s winter, so the amount of outdoor play is limited. 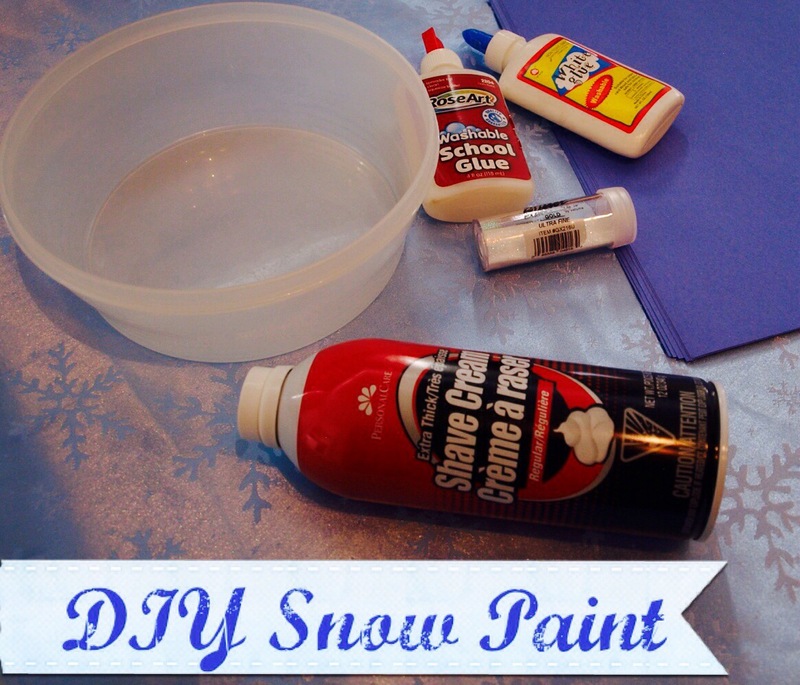 This means that I am always looking for easy projects indoors for my kids. 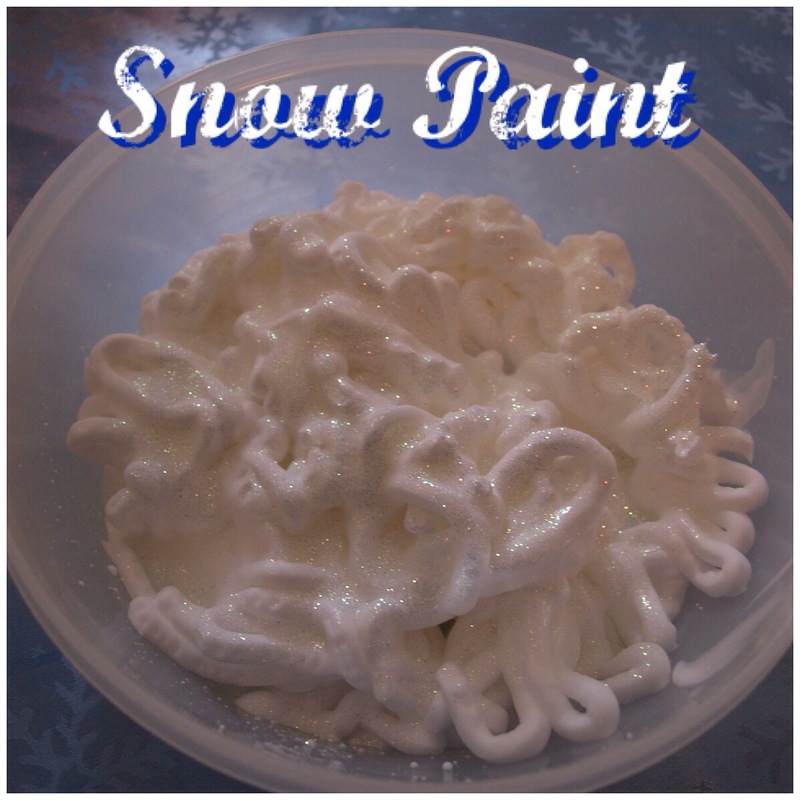 As a winter afternoon project yesterday we made snow paint! 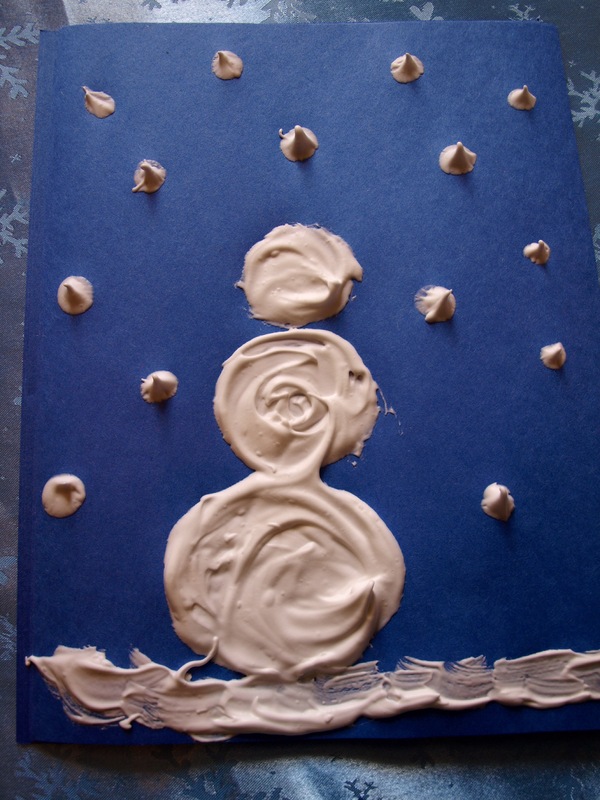 It was fun to make and paint/play with! That’s all! 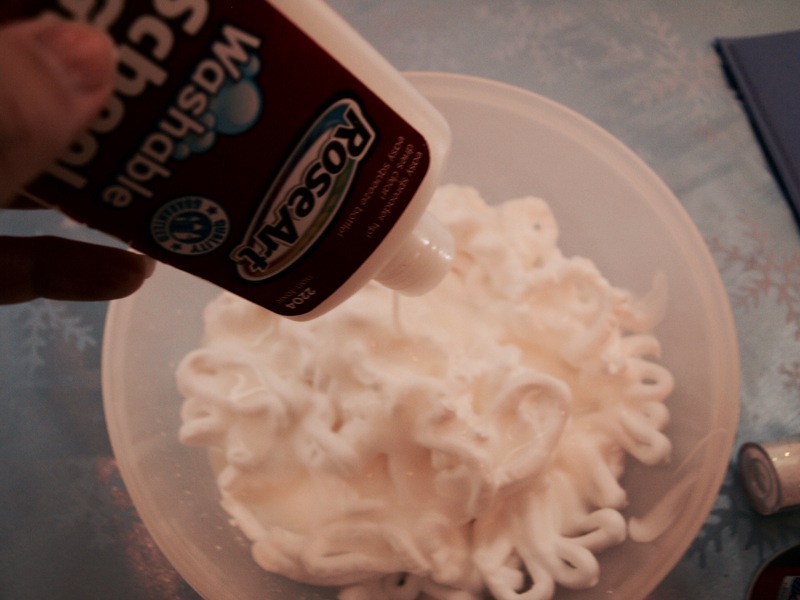 Mix equal parts glue and shaving cream then sprinkle with glitter. 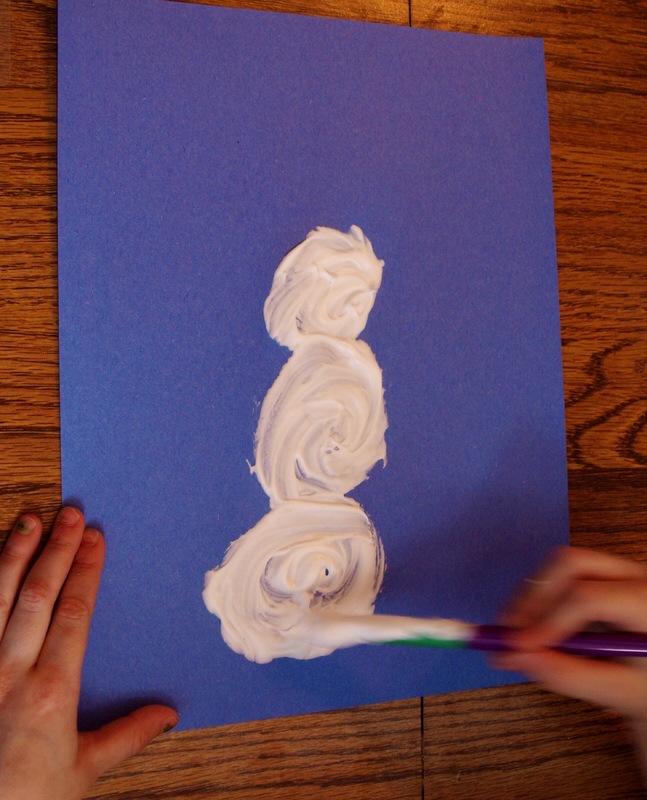 I let the kids stir with paint brushes. They loved painting with it! 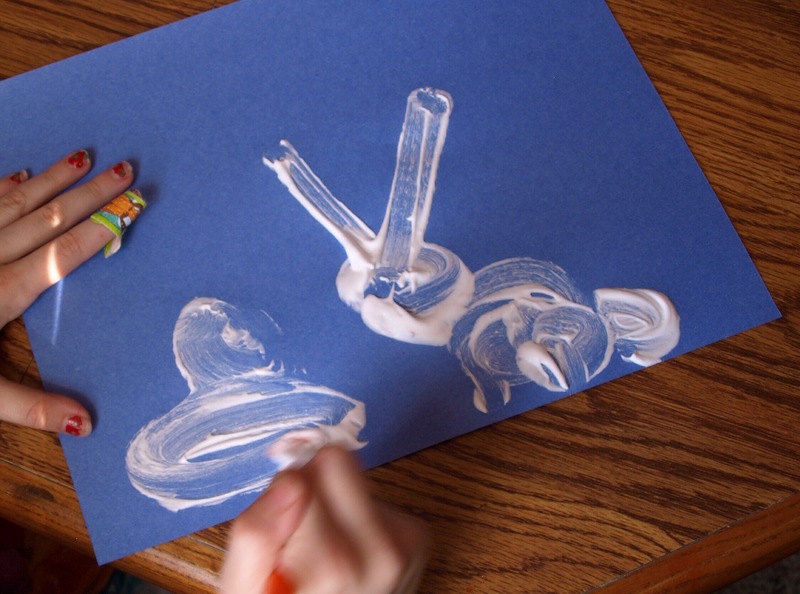 Katie said she was painting a “snow bunny” :). I love the texture, and it stayed this fluffy when dried too!